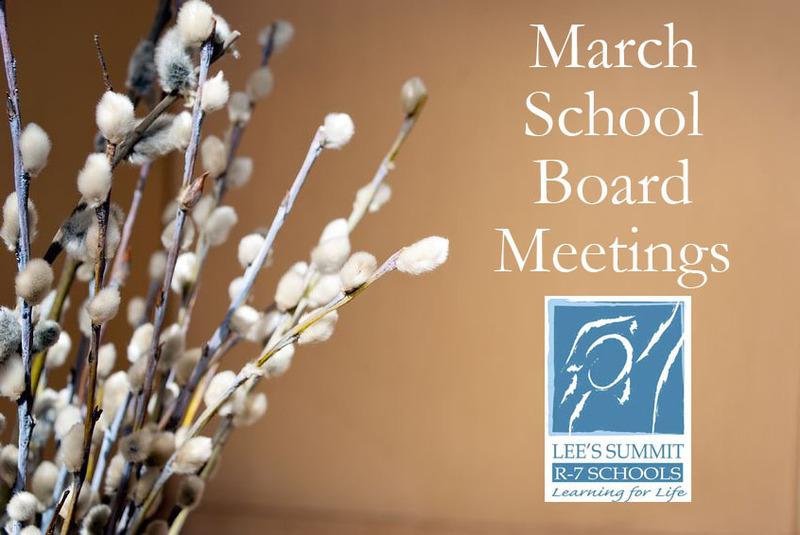 The Lee’s Summit School District Board of Education met Thursday, March 8, at 7 p.m. In addition to routine items on the agenda, such approving a summer driver’s education program and declaring surplus property, board members had a full schedule. One significant agenda item was discussion of who might receive an appointment to fill the open seat on the Board of Education. Another was consideration of refinancing school bonds to save money for the district by taking advantage of more favorable interest rates. Nine district residents have applied to fill the seat vacated when Annette Braam announced her plans to move out of district. Because her resignation came too late to place another candidate on the April 3 ballot, the board will appoint her replacement. Plans are for the remaining board members to consider letters of application and interview selected candidates for the vacant position in March and appoint their new colleague on April 12. The board meeting, which was open to the public, took place in the Board Room of the Central Office; 301 N.E. Tudor Road; Lee’s Summit, MO 64086.